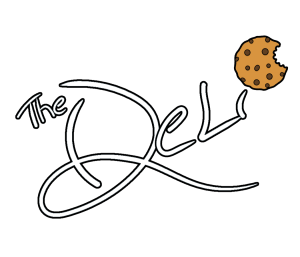 On the fourth day of Deli Christmas, The Deli gave to me… National Cookie Day! Today we will be giving out two free cookies to everyone! One to celebrate our usual Free Cookie Friday, and another to celebrate National Cookie Day! What a better way to celebrate National Cookie Day than to visit the cookie capital of the world: Maryland! Apparently here in Maryland, they are fans of the Turkey Hot Shot! 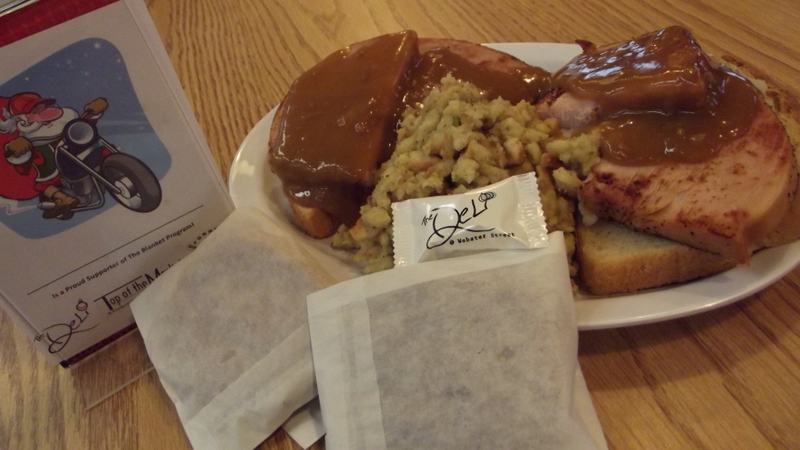 We’ve got turkey piled high with mashed potatoes and covered in gravy, all on two pieces of toasted sourdough and a side of Country Stuffing for $8.50! Soups today are Spicy Black Bean, Chili, Chicken and Dumpling, Lobster Bisque, Chicken Noodle and Tomato Basil. Have a great day Dayton! We will see you tomorrow for Ugly Sweater Day! Don’t forget – only 11 days until the Birthday Blanket Bash! On the third day of Deli Christmas, The Deli gave to me… Throwback Thursday! 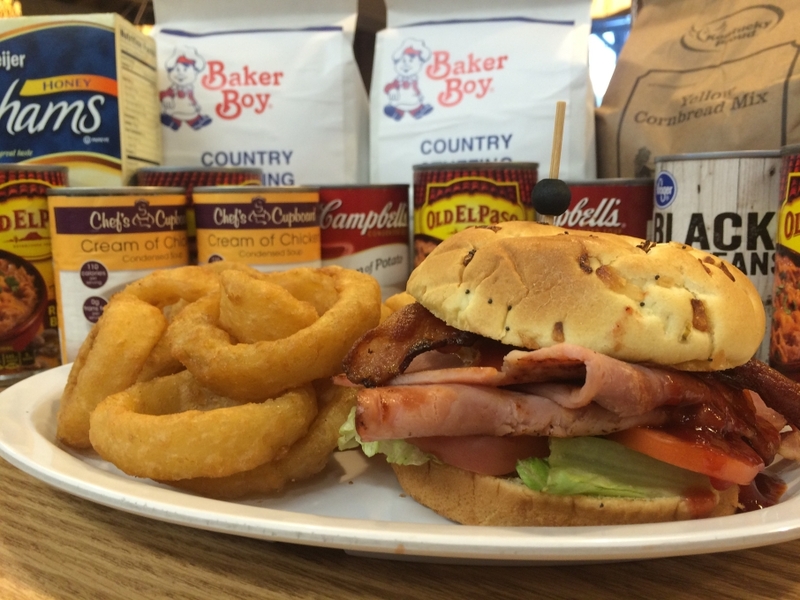 Today we will be serving a popular special from The Deli’s past – The Sandy! 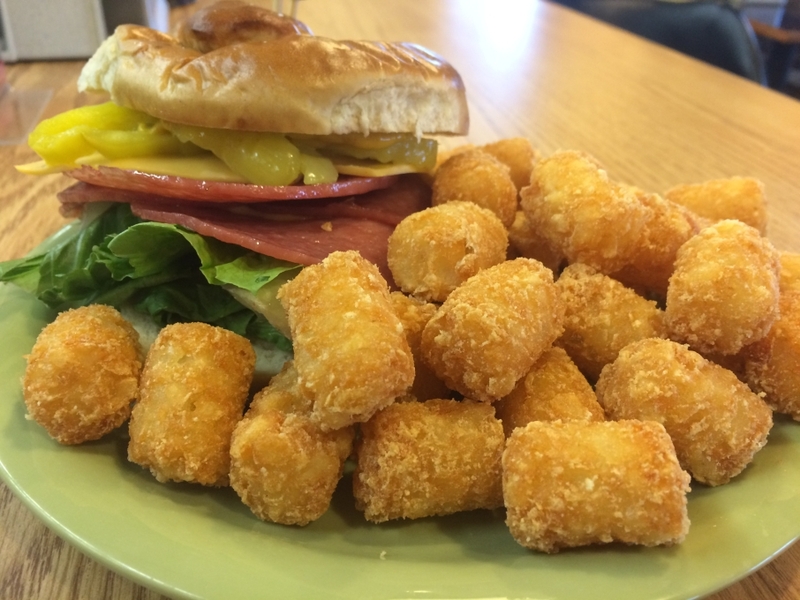 We have grilled salami with lettuce, banana peppers, American cheese, and yellow mustard on a pretzel bun with a side of tater tots for $7.50! Soups today are Mushroom & Brie Bisque, Garden Veggie, and Parmesan Kale Italian Sausage along with Chili, Chicken Noodle, and Lobster Bisque. Have a great day Dayton and we will see you tomorrow for National Cookie Day! Don’t forget – only 12 days until the Birthday Blanket Bash! On the second day of Deli Christmas, The Deli gave to me… Charlie Brown Christmas Day! Today is Charlie Brown Christmas Day! 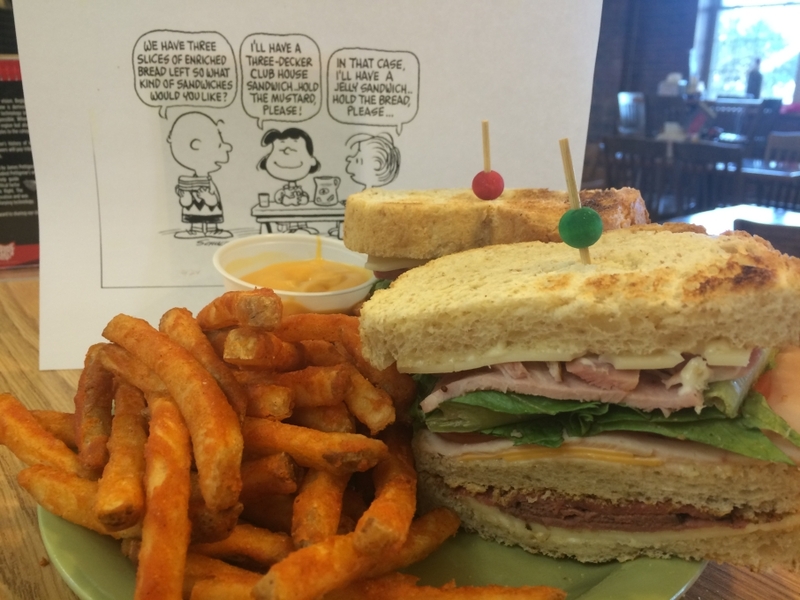 We will be rocking out to the Charlie Brown Christmas album all day, and we will be serving the Three-Decker Club House Sandwich inspired by Lucy! The Three-Decker Club House Sandwich is turkey, ham, and roast beef with American, Swiss, and havarti cheeses, lettuce, tomato, and mayo on three pieces of thick-cut sourdough with spicy fries and gourmet cheddar cheese sauce on the side for $9.75! Soups today are Broccoli Cheddar, Parmesan Kale Italian Sausage, and Garden Vegetable as well as Chili, Chicken Noodle, and Lobster Bisque! 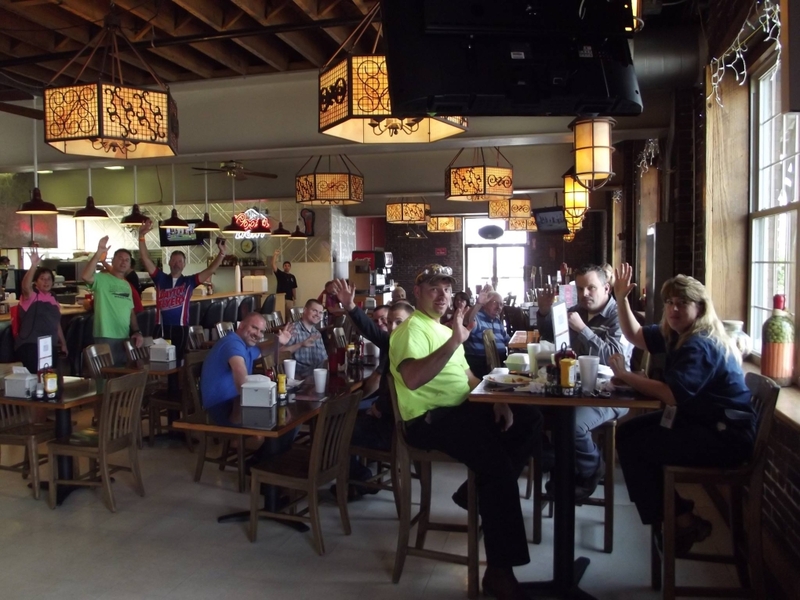 Have a great day Dayton and we will see you tomorrow for Throwback Thursday! Remember, only 13 days until the Birthday Blanket Bash! On the first day of Deli Christmas, The Deli gave to me… #NationalGivingDay! Today is #NationalGivingDay! Bring any canned good or nonperishable food item into The Deli and receive a free cookie and fountain drink. 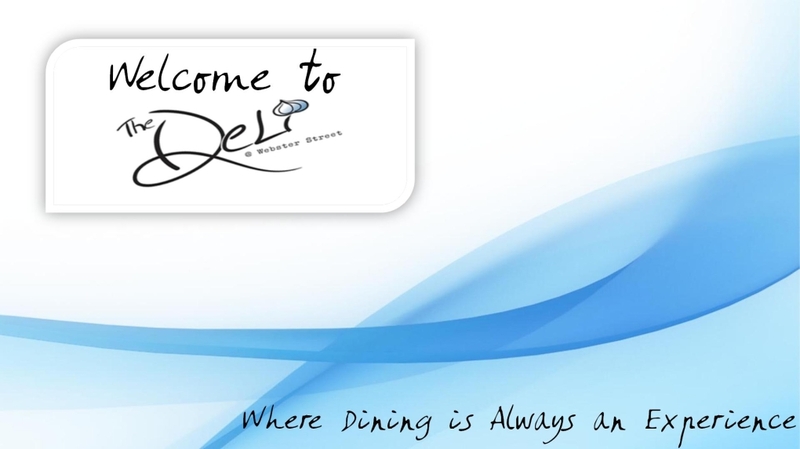 The Deli will match any donations and donate them to St Joseph at The Glen and St Vincent de Paul! Today’s special is The Porkinator! We’ve got grilled ham topped with bacon, cheddar cheese, and BBQ sauce on a bed of lettuce and tomato on an onion bun, with a side of onion rings for $8.50! Soups today are Tomato Tortellini, Broccoli Cheddar, and Chicken Pot Pie as well as Chili, Chicken Noodle, and Lobster Bisque! Also, happy birthday to our good friend Christin! Have a great day Dayton! We will see you tomorrow for Charlie Brown Christmas Day! 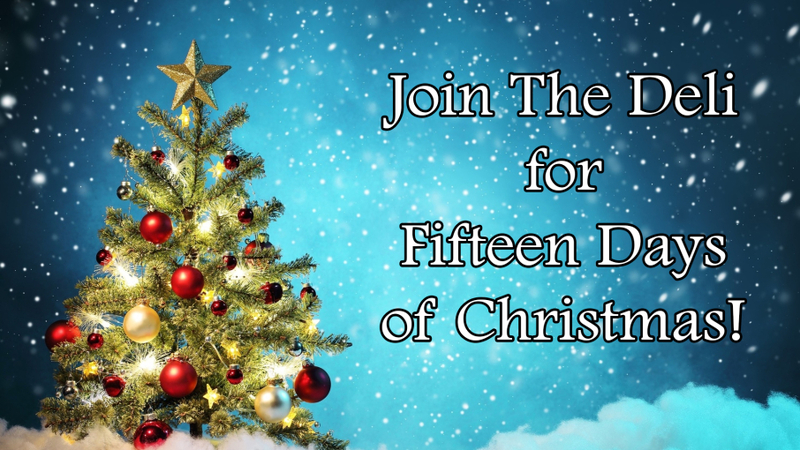 The Deli’s Fifteen Days of Christmas! To celebrate The Deli & Top of the Market’s tenth birthday, and to lead up to our Birthday Blanket Bash on Tuesday, December 15th, we are celebrating The Fifteen Days of Deli Christmas! Donate any canned food item(s) to The Deli and receive a free cookie and fountain drink! The Deli will match all donations and donate them to St Vincent de Paul! We will be rocking out to the Charlie Brown Christmas soundtrack all day and we will be serving a Charlie Brown-inspired special! This day’s special will be a throwback from The Deli’s past: The Sandy! Salami, banana peppers, and provolone cheese on a pretzel bun! 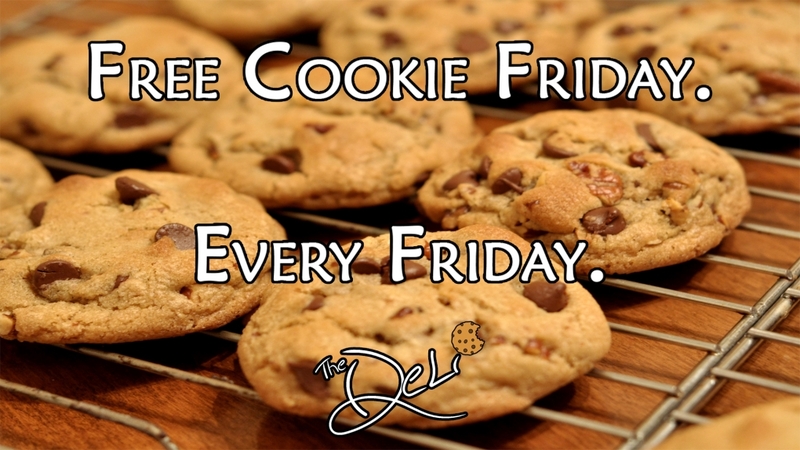 Stop by The Deli and receive two free cookies – one for National Cookie Day, and one for Free Cookie Friday! Anyone that wears their favorite ugly Christmas sweater to The Deli will receive a free cookie and fountain drink! The Deli will be closed so take a nap and enjoy your day!